Burmac does it all, we make sure every vehicle, machinery and equipment supplied by us would always work like new. No one knows your machinery and equipment like we do, the local dealers for Utilev, Hyster,New Holland and Bush Hog . 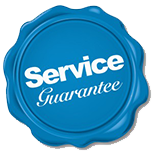 Our highest priority is your customer service experience ensuring your utmost satisfaction when it comes to service, repair, and parts. At Burmac we offer you; courteous service, original parts from the manufacturer, and support of factory-trained technicians to insure the best possible service. Regular servicing prevents little problems from becoming big ones; our factory-trained technicians have made it their goal to keep your business running at its peak performance.